Anyway I dug making cards/stickers/Photo annuals back in the day. I know the hard work peeps put into their ‘zines. SteamZine Made by Charno and Tag was killer although short-lived (2 issues) I guess The House of Steam really is a really huge ‘Zine as well. So I figured since everyone digs dusting off their photo albums they would dig sending in some ‘Zine media for the archive. I received this issue of Fish*Eye and was stoked, hopefully peeps will email me some cool covers and content. Never know until you try, so here is a list of some old school ‘Zines if you are out there and are the creator of one of these or if you have a copy….fire up the scanner and send us some love. email jasonoliva@gmail.com and put zine in the subject. If you have any others that you own, know of or created send me an email or leave the info in the comments section. Sorry if my research skillzzz did not turn up your Zine! This entry was posted in 1988 and tagged ART, backyard ramps, boards, east coast, house of steam, jason, Jason oliva, jasonoliva, New Jersey, New York City, oliva, paintings, photography, pool Skating, ramp, ride, sk8, sk8t, skate, skate decks, skate history, skate photography, Skate ramps, skate trucks, skate wheels, skate zine, skateboarding, skateboarding history, skateboarding photography, skateboards, skatepark, skater, SKATERS, steam, Street Skating, TEAM STEAM, The Barn, The House of Steam, thos, vert, vert ramps, Vert Skating, zine on April 1, 2009 by jasonoliva. 385: No Way its Jay!! Jay is back and he dug up two classic shots of two legendary skaters(Jamie Godfrey & Tom Groholski)…At CCCC none the less. 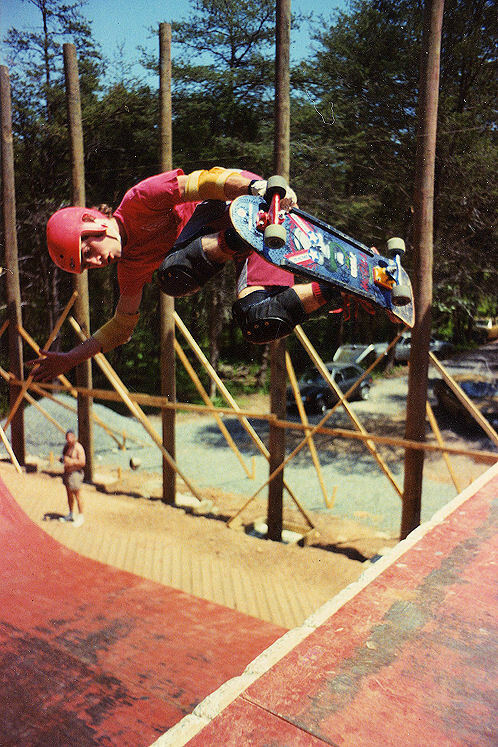 I don’t really know what to say about these pictures, just a couple of classic shots of a couple of classic skaters, Tom Groholski and Jamie Godfrey skating a classic ramp, Cedar Crest Country Club. They were taken in June of 1988, and I barely remember skating with them that day. I think I went with Tom, but I may have just met them there. I do remember thinking how cool it was to be skating with Jamie, seeing as he was a skater I had heard of so many times, he was one of the Bones Brigade! Of course it was cool skating with Tom, but then again it always is. Lets get more pictures of Jaime Godfrey into the archive as well…fire up your scanners boys! 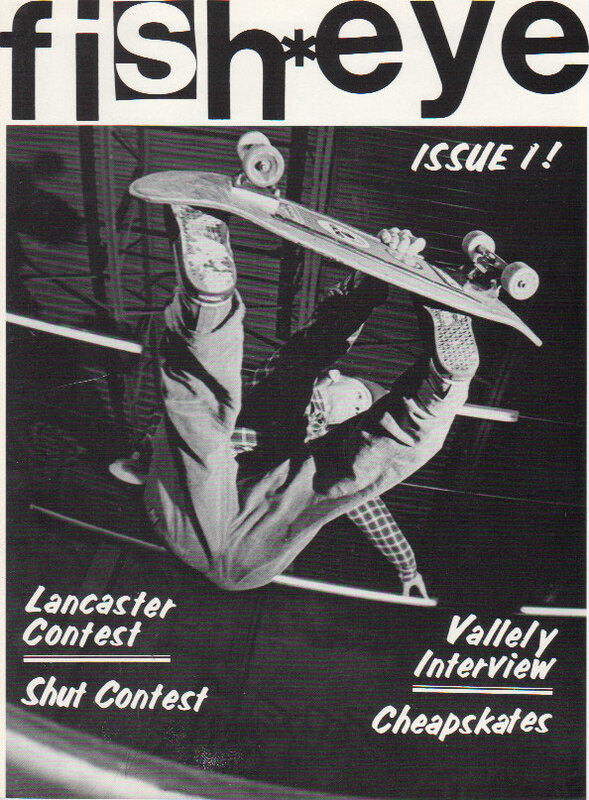 This entry was posted in 1988, Cedar Crest Country Club, Cherry Hill, Jay Henry, SKATE VIDEOS, Tom Groholski and tagged ART, backyard ramps, boards, Bones Brigade, cccc, cedar crest, Cedar Crest Country Club, east coast, house of steam, Jaime Godfrey, jason, Jason oliva, jasonoliva, Jay Henry, New Jersey, New York City, oliva, paintings, photography, pool Skating, ramp, ride, sk8, sk8t, skate, skate decks, skate history, skate photography, Skate ramps, skate trucks, skate wheels, skateboarding, skateboarding history, skateboarding photography, skateboards, skatepark, skater, SKATERS, steam, Steel ramp, steel vert, Street Skating, TEAM STEAM, The Barn, The House of Steam, thos, vert, vert ramps, Vert Skating on March 26, 2009 by jasonoliva. 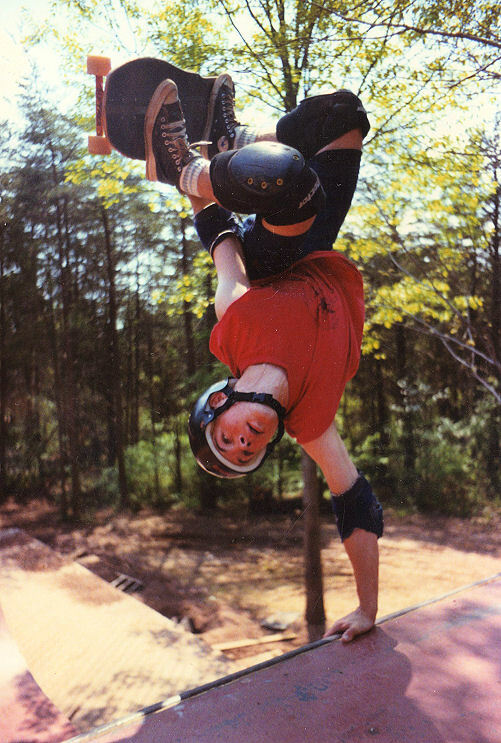 337: Todd Laffler, 1988 N-JAY…Best street plants ever! I recently got in touch with Todd and he has sent me some uber photos for the archive, real classic stuff. Todd grew up near Rodney Smith in NJ and I believe you can see the Noside banks in this compilation video. Crazy good street plants, I used to wish I could do that jazz, still do I guess…coolness! Oh yeah Todd is a sick photographer as well check him out. 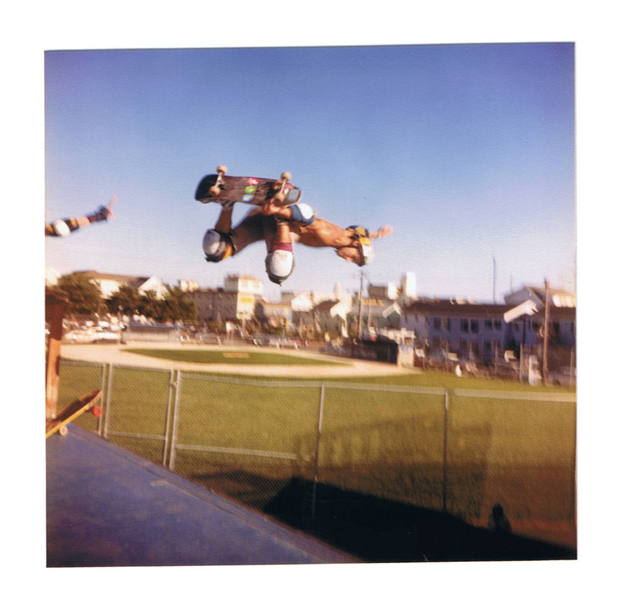 This entry was posted in 1988 and tagged ART, backyard ramps, bam, boards, east coast, house of steam, jason, Jason oliva, jasonoliva, New Jersey, New York City, oliva, paintings, photography, pool Skating, ramp, ride, sk8, sk8t, skate, skate decks, skate history, skate photography, Skate ramps, skate trucks, skate wheels, skateboarding, skateboarding history, skateboarding photography, skateboards, skatepark, skater, SKATERS, steam, Street Skating, TEAM STEAM, The Barn, The House of Steam, thos, vert, vert ramps, Vert Skating, yotube skate on December 20, 2008 by jasonoliva. Here it is the elusive “Holy Grail” of stickers. I have received a lot of emails asking about this sticker and after 2 years it has finally turned up. We can all thank Irene Ching for saving this one from extinction. If anyone needs a Hi res scan of this for tattoo purposes let me know and I will shake IC down for one. 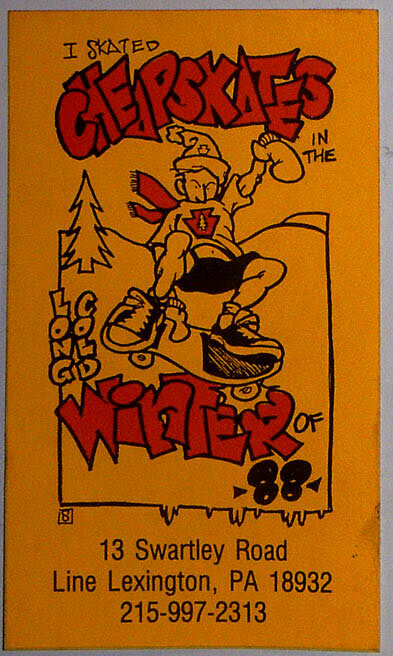 This entry was posted in 1988, Cheap Skates and tagged ART, backyard ramps, boards, Cheap Skates, east coast, house of steam, jason, Jason oliva, jasonoliva, long cold winter, New Jersey, New York City, oliva, paintings, photography, pool Skating, ramp, ride, sk8, sk8t, skate, skate decks, skate history, skate photography, Skate ramps, skate trucks, skate wheels, skateboarding, skateboarding history, skateboarding photography, skateboards, skatepark, skater, SKATERS, steam, Street Skating, TEAM STEAM, The Barn, The House of Steam, thos, vert, vert ramps, Vert Skating on October 22, 2008 by jasonoliva.